About: For the 2018 catalog I was given complete artistic freedom. As the sole designer of the company, I was responsible for all aspects of the design of this project. 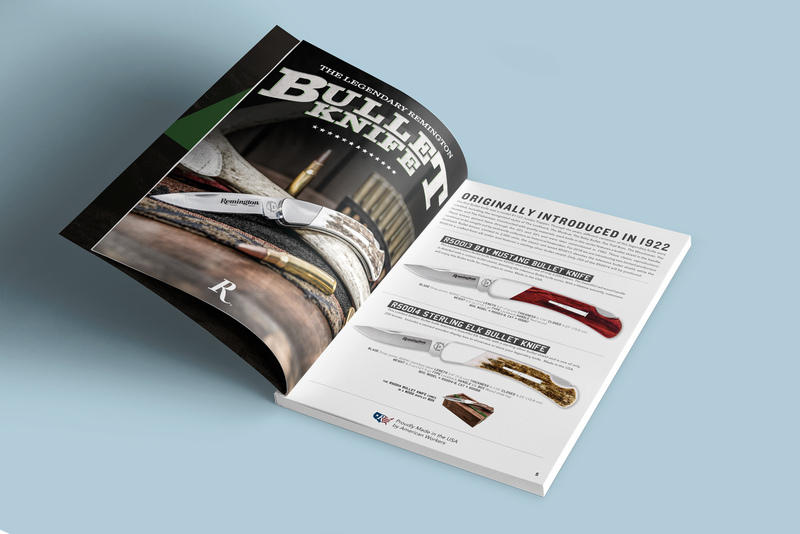 Buck Knives took on the license to produce Remington Cutlery in 2017. 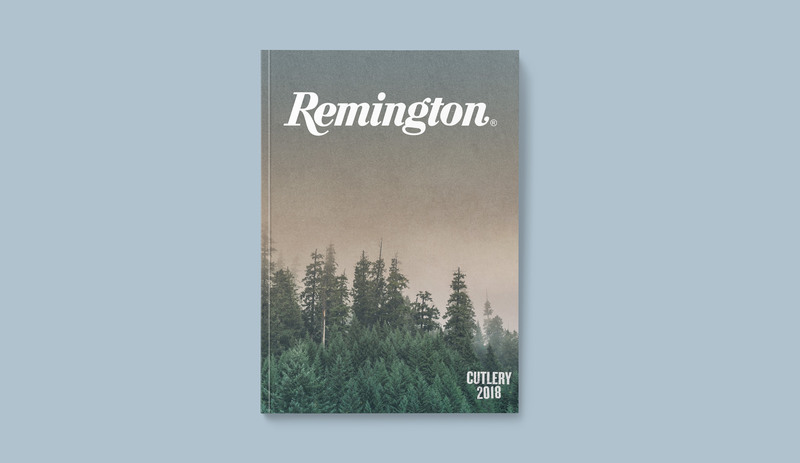 I was given logos, fonts, and couple images from Remington then was given full art direction from there. The previous licensee had marketed the cutlery in an old timey, western theme. The parent company had been going a different direction for many years towards a more modern, lifestyle brand. I took the opportunity to take it one step further and pushed the graphics in a more creative way. 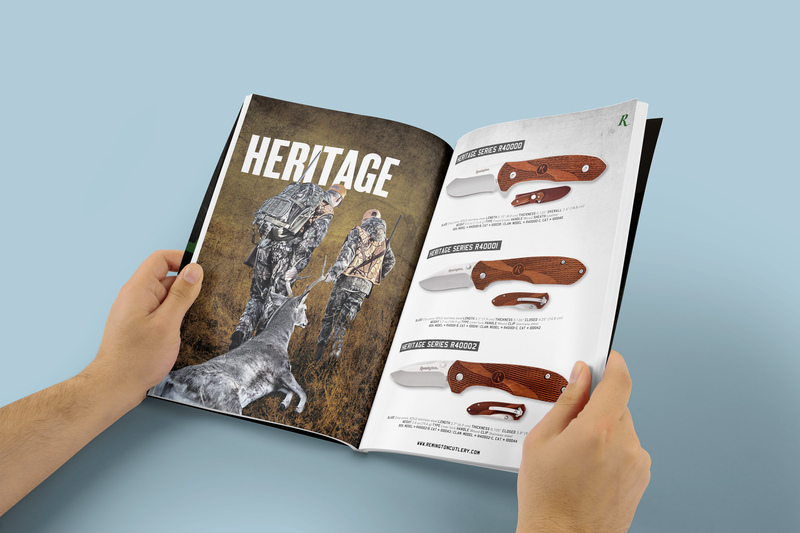 Along with this catalog, I designed the new packaging for around 30 products (including clam and boxes), and all new sales/marketing/tradeshow materials for the brand.